Wasabi Crop is a new start-up company initiated by the chemist Dr. Sean Kitson located in Northern Ireland. 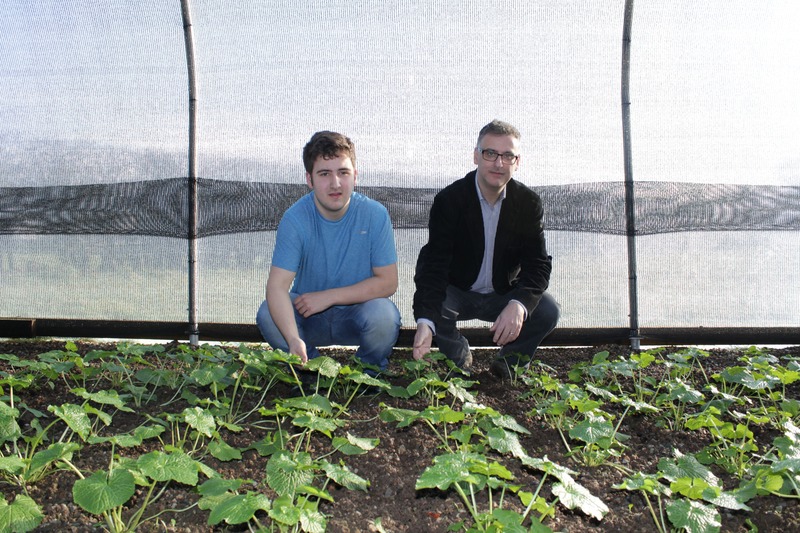 The idea originated from his son, Zak who first suggested starting up a business venture to sell rare garden plants. Therefore, we both researched into growing rare plants and came across Wasabia japonica. The more we read about this medicinal plant, the greater the excitement about growing it for a commercial market. To our surprise, we found not many wasabi growers outside Japan and the inspiration was to let everyone know about this remarkable plant. We knew this was going to be a challenge due to its stringent growing conditions. The first thing we did was to construct a large polytunnel on a two-acre site which has become known our Growing Facility. The planning and construction of the polytunnel began in late 2016. The next stage was to secure some wasabi plant starts from a viable source. Eventually, all the starts were planted by October 2016. In the meantime, a large cedar wood Dutch light greenhouse was constructed with the idea of growing the wasabi plants from seed. This is very difficult and certainly having an organic chemistry background helps in the planning and implementation of seed growing trials. At present these trials are in progress and hopefully we will be able to supply another type of variant namely Daruma. Recently, we have invested in refrigeration capabilities for our wasabi propagators. The day-to-day running of the Facility involves weeding the pea single gravel beds and monitoring and recording the internal temperature and humidity inside the polytunnel. The wasabi shade loving plant is usually grown under the cover of trees or nets in order to encourage an air temperature range of between 6 to 20 degrees Celsius. This range of temperature is required for good crop production. In addition, the pH of the growing medium is regularly monitored to keep it in the range of 6-7. These plants are semi-aquatic and therefore it is essential to maintain adequate moisture levels for an overall humidity inside the polytunnel. Conversely, it is important to keep the wasabi root moist but not saturated. This involves regular plant observations so that we can address any issues with water irrigation. The fertility of the growth medium is significant and this is periodically monitored that so we can continue to create the best optimum conditions to produce high end rhizomes for the commercial market and customers. The only disadvantage in cultivating wasabi root is the 2 year wait. During this period, we have remained optimistic and continue to be excited during the harvest of the rhizomes. This has been a great time extracting the mature wasabi plants and seeing the rhizomes for the first time. I have a bet with Zak that we can beat the British record of a single rhizome weighing 377 grams. The great thing about wasabi root is that not only can you consume the rhizome but also the stems and green heart shaped wasabi leaves as well. These leaves and stems can be used to prepare a really interesting salad with that extra wasabi kick. To be more adventurous, why not add fresh wasabi to your favourite beverage! The driving force behind this venture is the medicinal properties associated with Wasabia japonica which has anti-bacterial and anti-inflammatory benefits. This is very personal to Zak because from the age of 7, he was diagnosed with multiple sclerosis which is an inflammatory condition. Today, at the age of 17 years he is fit and healthy and enjoys the taste of Northern Ireland wasabi.